Below you'll find various exhibits that we currently display. We also have categories for upcoming, temporary and art gallery exhibits. The main exhibit at the MHS discusses the history of Milton and the Broadkill Hundred through engaging text panels and select artifacts. 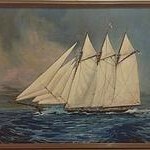 Learn about how boats, buttons, beans and (Dogfish Head) beer contributed to the fabric of the town. For thirteen years, the US went "dry" due to the passing of the 18th Amendment in 1920. 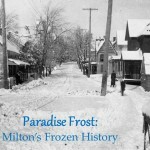 Learn how Prohibition impacted Milton - from the 1920's to the present. Highlights of the exhibit include Prohibition-era "moonshine" bottles, a still used both legally and illegally, and an original Dogfish Head Brewery brew kettle. 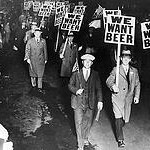 Plus see if your ancestors signed the petition in support of Prohibition! Copies of the original petitions are on display. Come view our newest art exhibit by local artist and Milton Arts Guild member Eddie Filemyr. This exhibit reflects 3 recent periods of her work with acrylic paint and also mixed media. Eddie believes that nature reflects beauty in many ways, as does her art, which focuses on nature in her latest exhibit. Eddie's whole life has been an exploration of beauty and the wonders of nature through art. She taught art at several places including Hood College, Wilson College, Hagerstown College, and Antioch University. She was awarded best in show at the Mispillion Gallery, 1st prize at Del. Tech and participated in juried shows at the Rehoboth Art League, the Milton Arts Guild, the Biggs Museum, Millsboro Art League and numerous other shows. The exhibit explores a number of topics related to the theme of frozen--including the ice harvesting industry of the early twentieth century, led by notable Miltonian James “Handy” Prettyman and ice cream manufacturing. Artifacts span the 18th through 20th centuries. On display through May 27. 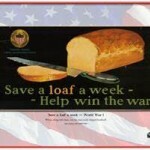 To help the United States win World War I and World War II, civilians made do with less so there would be enough supplies for the armed forces. Planting a garden was encouraged by the federal government to supplement civilian shortages and allow raw materials to be diverted to the military. Through propaganda such as posters, governments and private entities encouraged growing one’s own food. Gardening and canning became patriotic acts. This is a traveling exhibit from the State Historical Society of North Dakota. Summer 2017. Local artists highlight Miltonians through painting and photography. On display from April 5 through the end of May.